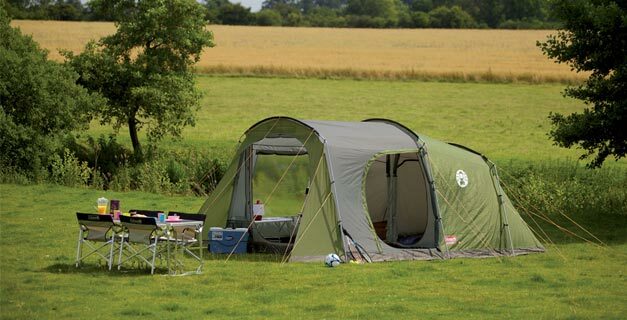 A versatile family camping tent with generous dimensions including a large living area and comfortable bedrooms offering full head height throughout. The living area provides enough space to comfortably accommodate a table and chairs for a large family. At the front a rain porch provides shelter from rain on entry and exit and is an ideal space to store muddy shoes.